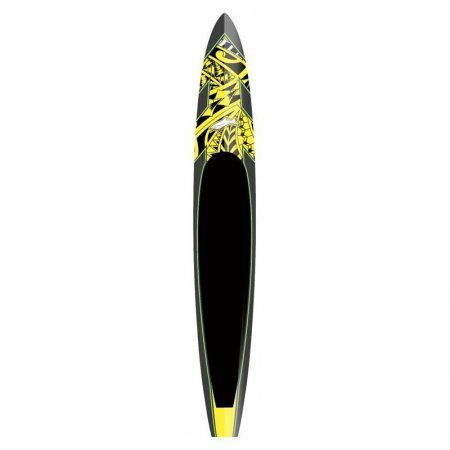 Infinity Downtown – SUP, Windsurfing UK. 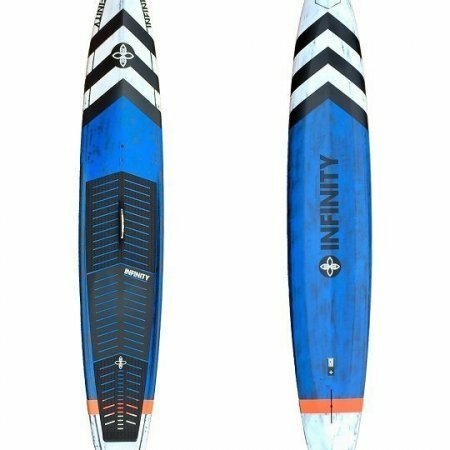 The 2018 Infinity Downtown is a downwind machine that will take the oceans energy and spit it out for fun. The Downtown was designed to go downwind and it does it so well. 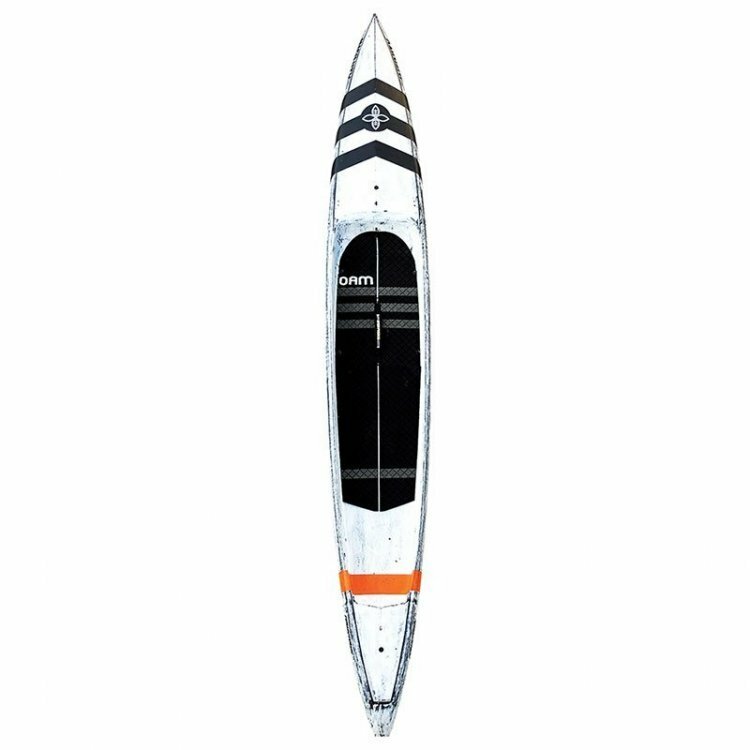 Offered as a flat deck or dugout, the boards is in a league of its own with design features that have been honed to really optimise the performance and needs of open water paddling. 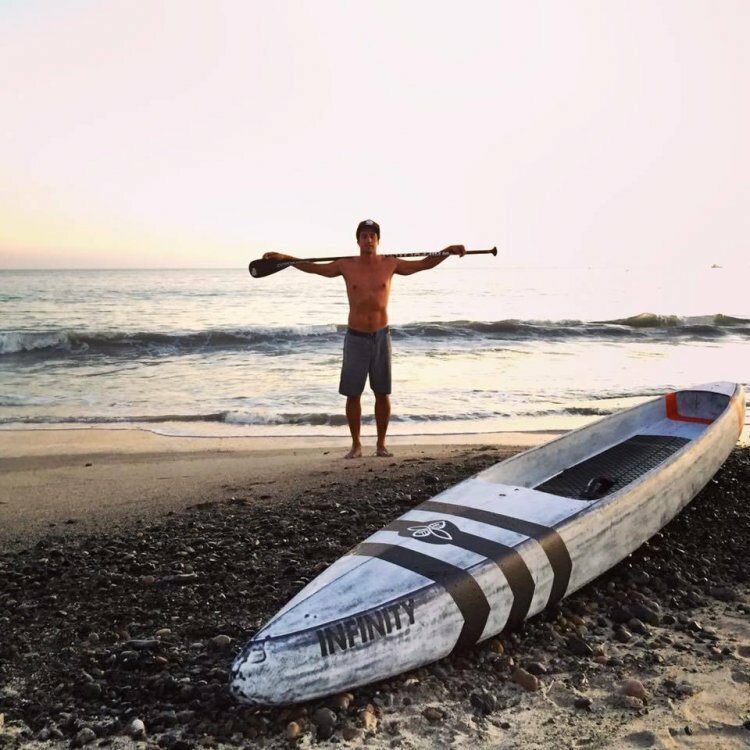 Dave Boehne developed the Downtown with paddlers that have lots of experience riding the bumps. 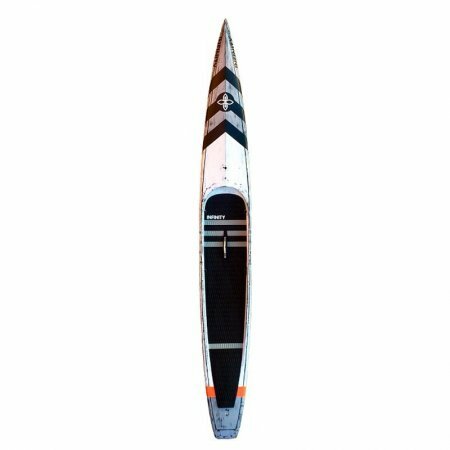 Toby Cracknell (5th Place M20) and Braly Joy (9th Island, formerly SIC) had lots of input and feedback regarding this design. 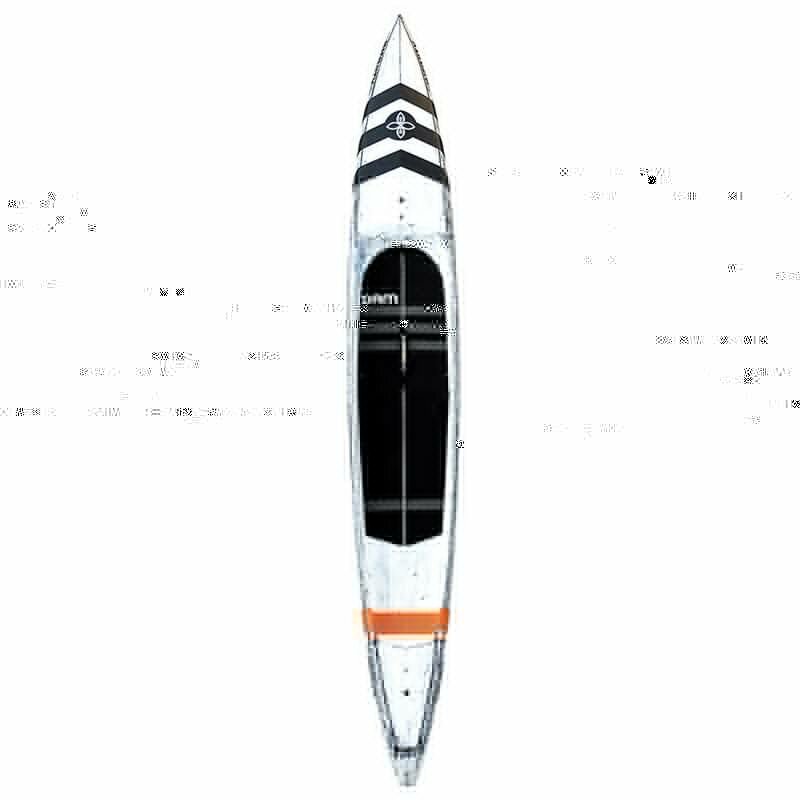 The design started with a baseline of Steve Boehne’s timeless downwind rocker then the team built the board from that point up. Outline is a classic wide point forward shape with a pulled in mini square tail. This allows stability and early entry into bumps while forward grinding and maneuverability and release in the back. The mini square tail releases like a dream and does not get pushed around in the side chop. High rails for stability and hard edges for quick surfy release. The nose has rocker to slip into the curves and rise up in between bumps for longer gliding. A simple single concave keeps the board lively in between bumps and makes it a pleasure to paddle when it’s flat. 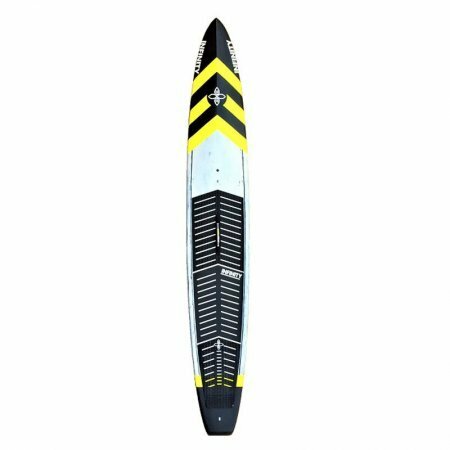 All of these features make this an incredible downwind board as well as a choppy ocean board. The large volume nose of the “dugout” version is incredible in the big chop and flies upwind. Don’t be surprised to see this board under the team’s feet in the ugly stuff.